Rabbi Steven Burg currently serves as the Chief Executive Officer of Aish HaTorah. 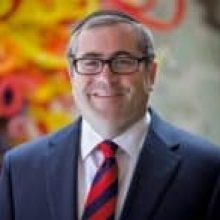 Rabbi Burg has been served as a scholar-in-residence for some of the premier Passover holiday destinations, both in the US and around the world. Rabbi Burg combines deep knowledge of the Jewish community, erudite Torah lectures, and a dynamic personality. He has been a contributor to Fox News, Al Jazeera, PBS, and many radio stations. Before coming to Aish HaTorah, Rabbi Burg served as the Eastern Director of the Simon Wiesenthal Center where he contributed to the fight against anti-Semitism and oversaw the Museum of Tolerance in New York City. Previously, Rabbi Burg served as the Managing Director of the Orthodox Union (OU), a $100 million dollar social welfare organization, and was the International Director of NCSY, the largest international Jewish youth movement. Rabbi Burg founded the Jewish Student Union (JSU), a network of hundreds of public high school clubs that teach unaffiliated Jewish teens about their heritage. He started the Anne Samson Jerusalem Journey (TJJ), an Israel experience for unaffiliated Jewish teens which continues to send thousands of teens to Israel. Rabbi Burg is an orator of note and has spoken in varied venues across the globe. He has a Masters in Medieval Jewish History as well as Rabbinic Ordination from Yeshiva University. He has completed management courses at Harvard Business School and the Kellogg School of Management of Northwestern University.